During the 1788 North Carolina convention to ratify the U.S. Constitution, Anti-Federals passionately opposed the document's adoption. Image courtesy of Documenting the American South, University of North Carolina at Chapel Hill Libraries. One of North Carolina's most influential Federalists, James Iredell, Sr. (above), led the campaign for ratification of the U.S. Constitution. Image courtesy of the North Carolina Collection, University of North Carolina at Chapel Hill Libraries. Willie Jones, North Carolina's leading Anti-Federalist, argued for the inclusion of a Bill of Rights to the U.S. Constitution. Image courtesy of the North Carolina Collection, University of North Carolina at Chapel Hill Libraries. Despite their political differences, Federalist William R. Davie (above) and Anti-Federalist Willie Jones worked together to establish the University of North Carolina. Image courtesy of the North Carolina Office of Archives and History, Raleigh, NC. It is tempting to dismiss the Anti-Federalists, for the U.S. Constitution that they opposed is a sacred document to most modern Americans. Under that Constitution, the United States grew rapidly in population, wealth, and territory to become, by the late twentieth century, the world’s only superpower. Whatever its failings, no other political regime, by most conventional measures of accomplishment, has been more successful. North Carolina’s Anti-Federalists have been too easily dismissed. One Federalist described them as a “blind, stupid set that wish Damnation to their Country.” They were among the most bitter of the bitter-enders, blocking ratification of the Constitution at the Hillsborough convention of July 1788, even after the document had been approved by eleven other states. Not until November 1789, after George Washington had been president for seven months, did North Carolina finally join the Union. The most serious indictment that can be leveled against North Carolina’s Anti-Federalists may not be their opposition to the Constitution. For many—if not most—Americans opposed ratification; a majority of North Carolinians certainly did. North Carolina’s eventual acceptance of the Constitution reflected only a temporary shift in public opinion, one driven in part by political necessity. In all likelihood, the Constitution granted more powers to the new national government than were absolutely essential to the survival of the Union. By 1787, the new nation’s political elite recognized the need to give Congress the power to tax and to regulate trade. With the few repairs most Americans were willing to make, the Articles of Confederation might have operated as well as the Constitution has. The principal fears of the Anti-Federalists—that the Senate would become a bastion of aristocratic privilege, that an imperial president would overawe a complacent Congress, and that an intrusive federal court system would engender costly and oppressive litigation—do not sound today like eighteenth-century paranoia. The most disturbing charge against the Anti-Federalists may be what they became. Anti-Federalism evolved into Jeffersonian Republicanism, and in North Carolina, Jeffersonian Republicanism acquired a particularly provincial caste. Augmented by a few disgruntled Federalists, the Republicans dominated North Carolina politics until the First Party System of Federalists and Republicans gave way to the Second Party System of Whigs and Democrats. Under Republican leadership, North Carolina stagnated. An inadequate transportation system discouraged the production of staple crops for market, and most farm families remained self-subsistent. Public education was virtually non-existent, and perhaps one third of the adult white population could neither read nor write. There were few newspapers, and North Carolina was the last of the original thirteen states to have a state bank. Natives emigrated by the hundreds of thousands, and only a high birthrate prevented an actual decline in population. For these reasons, in the early 1800s, North Carolina acquired the nickname, the “Rip Van Winkle” state, for it slept soundly as America moved forward without it. Arguably, North Carolina demonstrated the inadequacy of an anti-statist agrarian republicanism as a governing philosophy. Given that legacy, what can be said in defense of the Anti-Federalists? To begin with, they represented the views of a majority of North Carolinians, and in a supposedly democratic society, that ought to count for something. Most of their fellow citizens were apathetic concerning the Constitution and expected little from any government. Even leading North Carolina Federalists came to have second thoughts regarding the new constitutional order. Hugh Williamson, who had represented North Carolina at the Constitutional Convention in Philadelphia, opposed Treasury Secretary Alexander Hamilton’s plan for the federal government to assume the states’ war debts. James Iredell had led the campaign for ratification, but as a Supreme Court justice he dissented from the court’s decision in Chisholm v. Georgia (1790), which held a state could be sued by a private citizen in federal court. The speedy adoption of the Eleventh Amendment, overturning Chisholm, is evidence of widespread support for the states’ rights views associated with the Anti-Federalists. The Anti-Federalists enjoyed popular support in large part because they represented the ideology of the American Revolution–a fear of political authority and hostility to taxes. In this sense, they were the reincarnation of the Radical faction which had dominated North Carolina’s wartime politics. Radicals favored paper money, supported the confiscation of Loyalist property, obstructed the payment of debts owed to British creditors, and routinely polled more votes than did their Conservative opponents. Anti-Federalists were, they would say, jealous for the liberties of the people, and hence their most effective argument against the Constitution: it lacked a bill of rights. Their insistence on a bill of rights constituted their most important act of constructive statecraft. North Carolina’s reluctance to ratify the Constitution helped keep pressure on Congress to adopt what become the first ten amendments. The amendments that eventually became law placed fewer limits on federal power than the Anti-Federalists wanted, but we can be grateful even for their limited success. Anti-Federalists, in North Carolina and elsewhere, influenced the Constitution in other ways. By complaining about the dangers poised by the new government, they forced Federalists to argue repeatedly during the ratification debate that the Constitution established a government of limited, delegated powers. Alexander Hamilton and John Marshall stretched those limits, but the basic premise became a fundamental principle of American jurisprudence, undermining, for example, the ideas of a federal police power or a federal common law. Inadvertently then, Anti-Federalists perhaps helped legitimize the Constitution. By participating in the ratification debate and by accepting the result, more graciously than not, they functioned as the loyal opposition that a democratic system requires. They did not like the new government, but they were wiling to live with it, and that was a contribution in itself. But what about the Radicals-turned-Anti-Federalists-turned-Republicans in North Carolina? Their resistance to taxes, their affinity for paper money, and their disregard for British debts may have stifled economic development. They helped write and then tolerated a state constitution that left the west grossly underrepresented in the state legislature, and because the legislature selected the governor and other public officials, that lack of representation distorted the state’s entire political system. Yet before we rush to judgment, a few mitigating circumstances deserve consideration. First, there is history and geography. North Carolina’s lack of a deep-water port retarded its development since the earliest attempts at colonization. The Tar Heel State had acquired a reputation for backwardness long before the Anti-Federalists. With little industry, North Carolina suffered from an unfavorable balance of trade and a chronic shortage of specie. The Anti-Federalists and their Republican successors inherited a pre-industrial economy ill-suited for economic modernization. Second, sectionalism, as much as ideology, shaped North Carolina’s political culture. Sectional divisions cut across party lines. A stagnant east controlled a malapportioned legislature and refused to cede power to the more rapidly growing west. Eastern lawmakers showed less interest in building a transportation system than did the landlocked westerners. Governmental inaction, whether it involved political reform or economic development, had as much to do with self-serving local interests as with a coherent philosophy of agrarian republicanism. Third, an argument can be made that Anti-Federalist economics were more rational than the Federalists thought. North Carolina was a poor state even before it experienced the Revolutionary War. 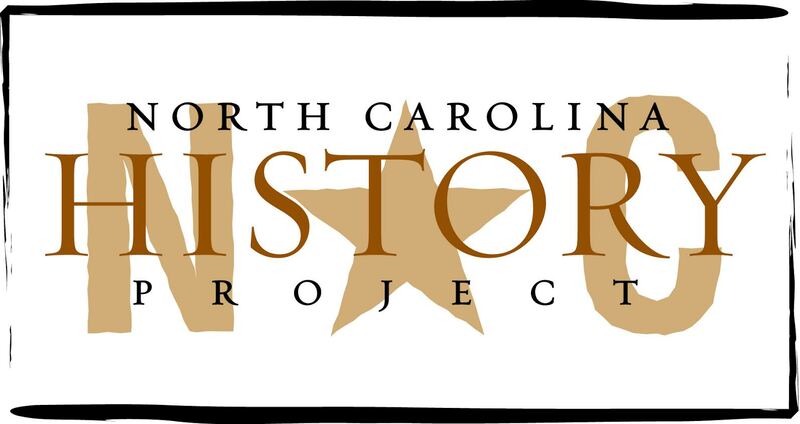 The historian James P. Morrill, in one of the few detailed studies of the state’s fiscal policies during the Founding era, concluded that North Carolina’s commitment to low taxes and paper money constituted a reasonable accommodation to reality. Given its lack of specie, for example, the state made a good faith effort to redeem its war debt, but Morrill argued, a partial repudiation of the debt could not be avoided. Fourth, the Republicans of the early 1800s were not quite the same as the Anti-Federalists of the late 1780s, and the Federalists changed as well. Willie Jones, a wealthy planter and undisputed leader of North Carolina’s Radicals and Anti-Federalists, worked with Federalist leader William R. Davie to help found the University of North Carolina. Jones demonstrated a sense of noblesse oblige lacking in Nathaniel Macon, the penny-pinching doyen of North Carolina’s Jeffersonian Republicans. The state’s Federalists suffered a similar declension. Patriots who had won a revolution and embraced the Constitution produced in North Carolina philosophical descendants who could not agree on a reform agenda suitable for a period of ordinary politics. Many of them even opposed the Louisiana Purchase. Provincialism, as did sectionalism, transcended party lines, and it may have grown worse with time. Americans often interpret their history as a constant march toward perfection. In reality, few things in history are inevitable, and what is today may not be the best example of what might have been. The Anti-Federalists played their part in what now seems to be a preordained drama, but their story also suggests that history might have taken another, and not unthinkable, path. James H. Broussard, “The North Carolina Federalists, 1800-1816,” North Carolina Historical Review (1978) 55: 18-41; John C. Cavanagh, Decision at Fayetteville: The North Carolina Ratification Convention and the General Assembly of 1789 (Raleigh, 1989); Delbert H. Gilpatrick, Jeffersonian Democracy in North Carolina, 1789-1816 (New York, 1931); Hugh T. Lefler and Albert Ray Newsome, North Carolina: The History of a Southern State (Chapel Hill, 1973); Michael Lienesch, “North Carolina: Preserving Rights,” in Michael Allen Gillespie and Michael Lienesch, eds., Ratifying the Constitution (Lawrence, KS, 1989); James R. Morrill, The Practice and Politics of Fiat Finance: North Carolina in the Confederation, 1783-1789 (Chapel Hill, 1969); William S. Price, There Ought to Be a Bill of Rights: North Carolina Enters a New Nation (Madison, 1991); and Alan D. Watson, “North Carolina: States’ Rights and Agrarianism Ascendant,” in Patrick T. Conley and John P. Kaminski, eds., The Constitution and the States: The Role of the Original Thirteen in the Framing and Adoption of the Federal Constitution (Madison, 1988).